One of the great Hollywood epics comes to the screen in a fresh new digital restoration on Sunday 8 December. Voted by patrons of the Picture House as one of the films they most wanted to see screened again, in a poll to mark the Wotton cinema's centenary, Gone with the Wind (PG) remains one of the most successful films of all time. Now the beneficiary of a 4K digital restoration, David O Selznick’s production of Margaret Mitchell’s best-seller remains the pinnacle of polished Hollywood storytelling and craftsmanship. 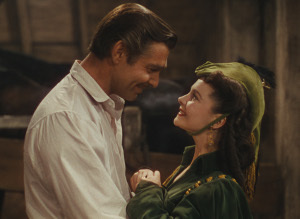 The story balances the seismic changes affecting the South at the time of the American Civil War, with the more intimate story of Scarlett O’Hara (Vivien Leigh), a petulant belle wreaking havoc on others in her pursuit of Ashley Wilkes (Leslie Howard) and her dealings with Rhett Butler (Clark Gable). Gone with the Wind will be shown at 2pm, and will include an interval. Also on Sunday 8 December, at 7.45pm, there's a special one-off screening of the documentary Project Wild Thing (PG). Filmmaker David Bond is a worried man. His kids' waking hours are dominated by a cacophony of marketing, and a screen dependence threatening to turn them into glassy-eyed zombies. Like city kids everywhere, they spend way too much time indoors - not like it was back in his day. He decides it's time to get back to nature – literally. Determined to get them up and out, David appoints himself as the Marketing Director for nature. With the help of branding and outdoor experts, he develops and launches a nationwide marketing campaign to get British children outside. But the competition is not going to lie down and let some upstart with a free product steal their market. This is the hilarious, real life story of one man's determination to get children out and into the ultimate, free wonder product: Nature. Project Wild Thing is a film-led movement to get more kids (and adults!) outside and reconnecting with nature. 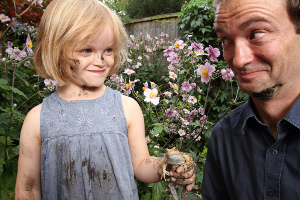 The film is an ambitious, feature-length documentary that takes a funny and revealing look at a complex issue, the increasingly disparate connection between children and nature. It has led to a growing movement of organisations and individuals who care deeply about the need for nature connected, free-range, roaming and outdoor playing kids in the 21st century. Tickets for both these events can be booked now at www.wottoneph.co.uk.